Check out our interactive infographic to see progress toward the Oral Health indicators and other Healthy People LHIs. Have you seen the latest infographic on Oral Health? Oral diseases ranging from dental caries (cavities) to oral cancers cause pain and disability for millions of Americans. The impact of these diseases does not stop at the mouth and teeth. A growing body of evidence has linked oral health, particularly periodontal (gum) disease, to several chronic diseases, including diabetes, heart disease, and stroke. In pregnant women, poor oral health has also been associated with premature births and low birth weight.1, 2, 3, 4 These conditions may be prevented in part with regular visits to the dentist. In 2007, however, only 44.5% (age adjusted) of people age 2 and older had a dental visit in the past 12 months, a rate that has remained essentially unchanged over the past decade. Many of these oral diseases may be prevented with regular dental care. 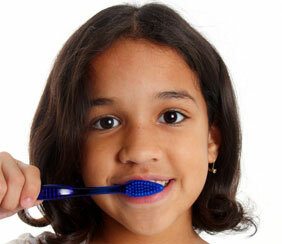 3Division of Oral Health, Centers for Disease Control and Prevention. Public Health Implications of Chronic Periodontal Infections in Adults. Atlanta, GA: 2005.